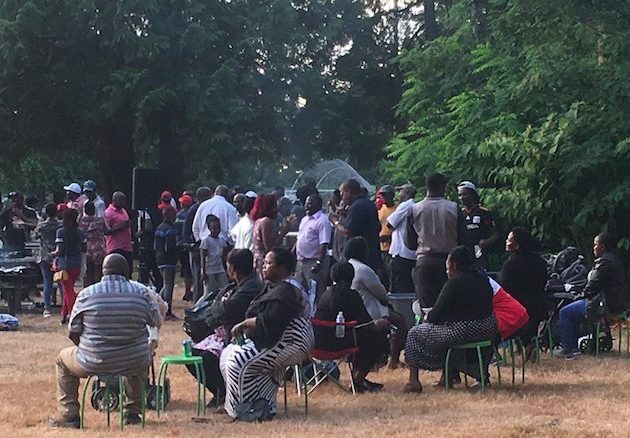 PNUAA Elections — Pacific Northwest Ugandan American Association (PNUAA) covers the states of, Washington, Oregon and Idaho. About 1500 Ugandans live and work in this region. The organization was founded in 1990 to unite all Ugandans and friends in the region. Most of the people in this community live in the State of Washington mainly in the Southern city of Tacoma. PNUAA is a registered NGO in the state of Washington and this year the organization as the community local chapter will host the 30th annual Uganda North American Association – (UNAA) Convention in Bellevue. PNUAA elections are held every after two years. 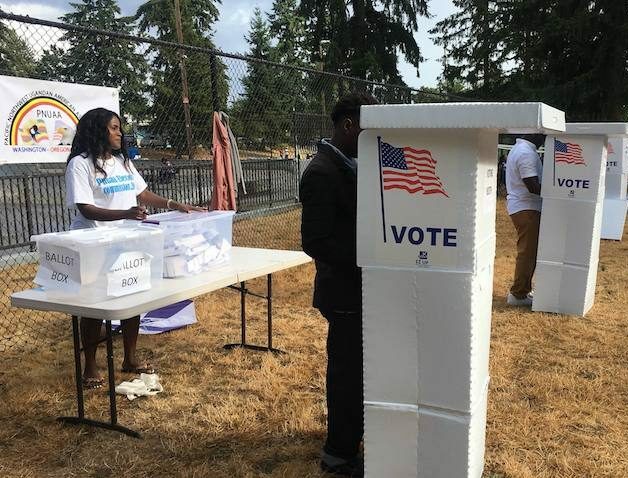 This year’s election was held on August 11th 2018 at Federal Way Washington. The polling process took 5 hours. Headed by Mrs. Asher Nyonjo the EC boss assisted by Mrs. Kivumbi and Mrs. Kasujja. Over 385 members registered to vote and in total 201 votes were cast. BELOW A THE RESULTS FULL. Kenneth Omimbi won – 97 Votes, followed by Sam Sebuwufu Seruwu – 56 votes and Godfey Kasagga collected – 48 votes. Mr. Sebuwufu was therefore voted on site to become the next vice chairperson after Mr.Kamari resigned for work related reasons. Pnuaa is growing stronger by the day!Congz to the new leadership.